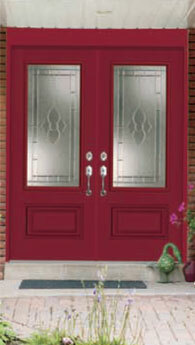 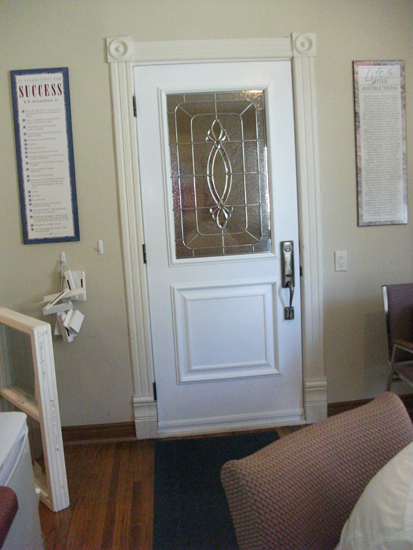 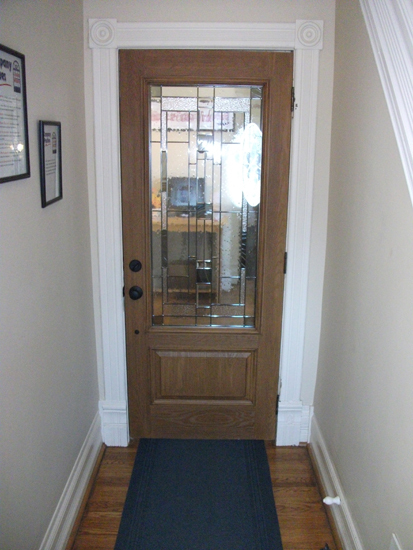 Visit our showroom at 39 Richmond St. in Chatham Ontario to see feel and operate the various door styles. 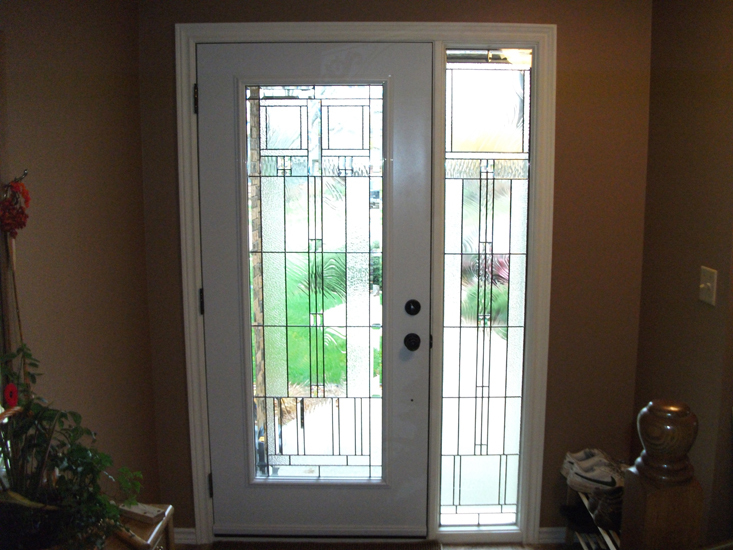 As suggested and is most commonly found in homes, a single entrance door that is available in a wide variety of solid door panel and glass options. 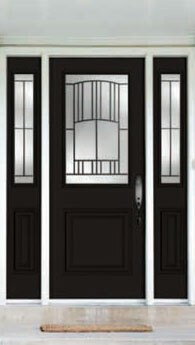 By industry definition the Double door system includes two door panels, both operating, with one side a ‘primary’ operator (used all the time) and the other a ‘secondary’ operator (used occasionally, often to create a large opening for moving furniture in and out). 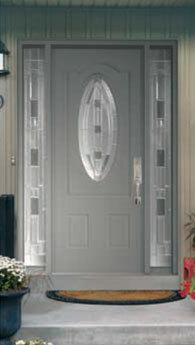 Garden doors include two door panels, one operating and one fixed, and offers a sliding screen for maximum ventilation. 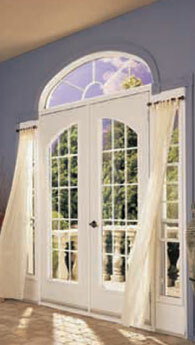 Often chosen as an alternative to a ‘patio door' system (see below). 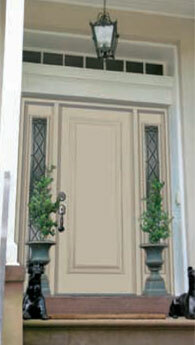 One or two 'sidelites' may be added to a Combination	entrance door system (or even to a double door system). 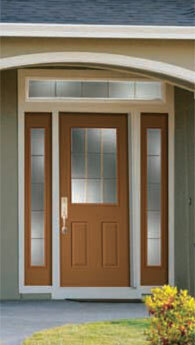 Sidelites can be 'standard panel' (standard glass sizes built into a door panel which is built into the wooden sidelite frame) or 'direct glazed' (glass options are built directly into the wooden sidelite frame). 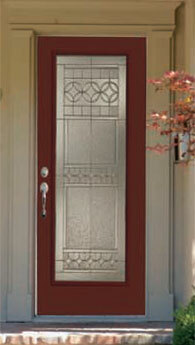 Sidelites offer much needed sunlight to the entrance, as well as aesthetic beauty that can speak volumes about your home. 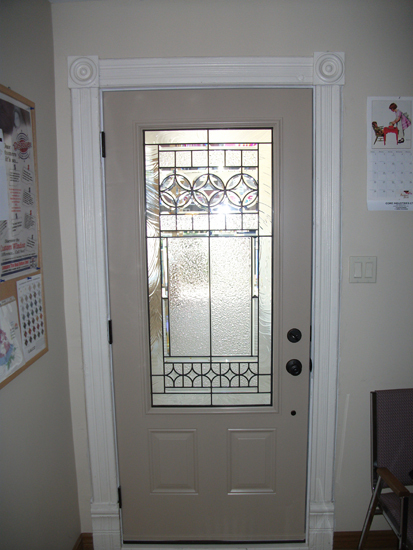 Combining a shaped Transom above	your door system can make your entrance system absolutely ‘pop’ in the eyes of the beholder. 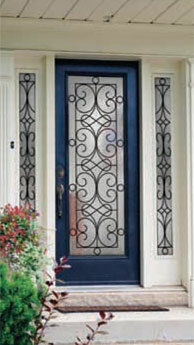 Transoms are available in a rectangular shape and a variety of other 'shaped' choices (half circle, elliptical and other). 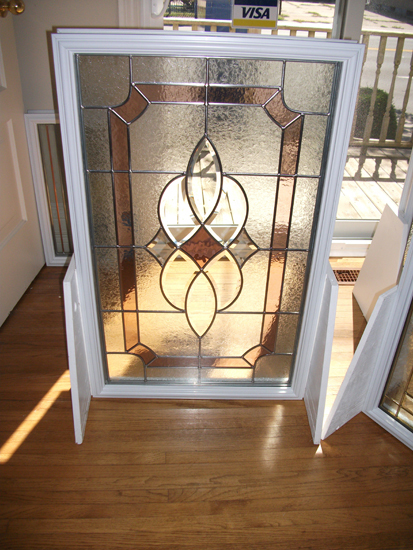 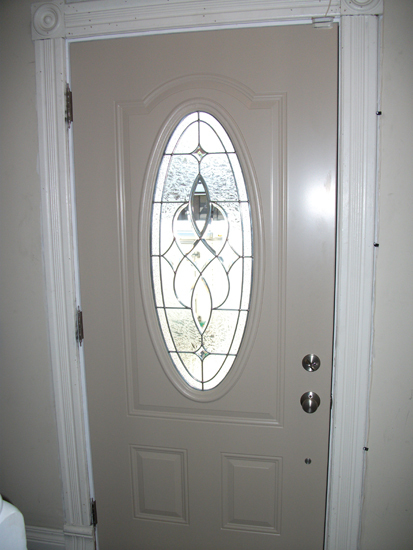 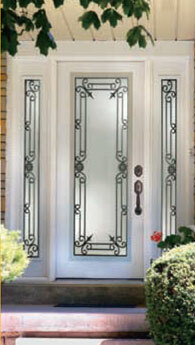 Browse through the various KV Custom Windows and Doors styles of glass below. 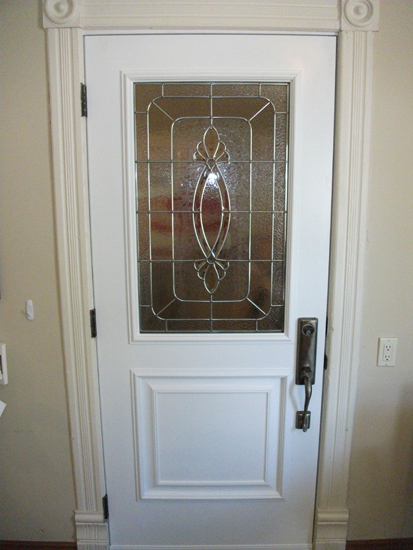 We are not limited to the KV Custom Windows and Doors collection, KV Custom Windows and Doors are also able to provide almost any decorative glass option available! 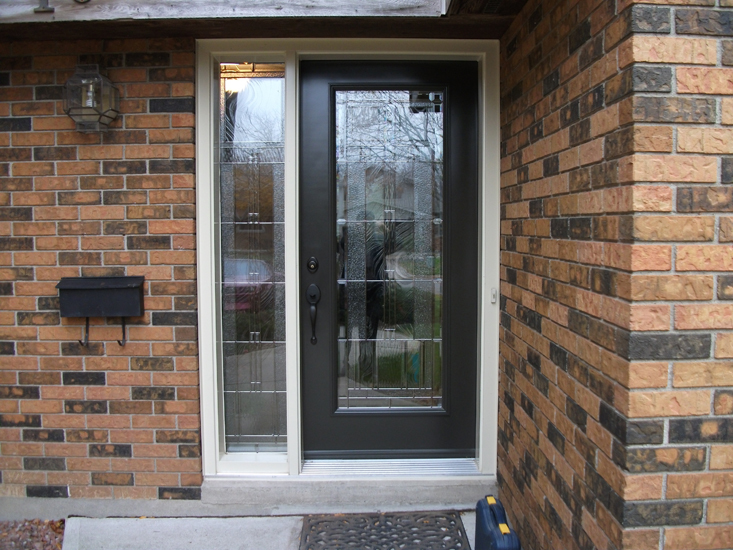 "All of the steel entrance door styles and glass options described above are available in a fibreglass door system - for those who want the benefit of a wood grain appearance without the maintenance of wood." 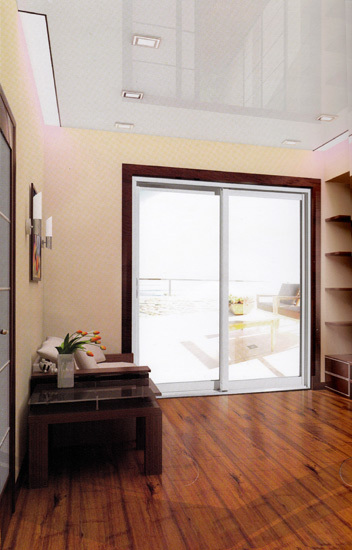 A premier wood frame, vinyl clad, sliding patio door system. 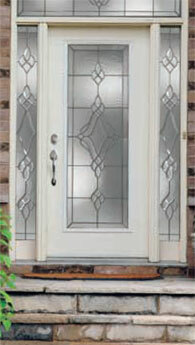 The Windridge patio door will give you years of maintenance-free performance. 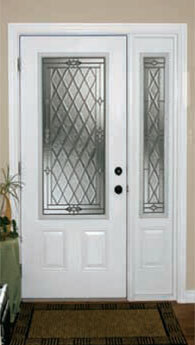 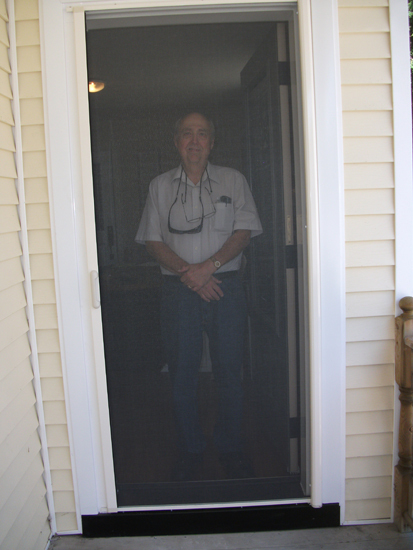 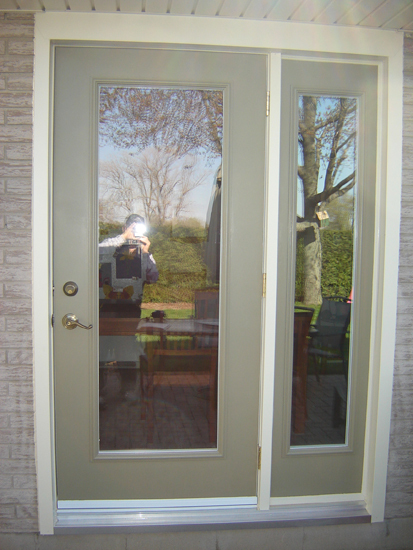 "Twin lock" is a standard feature of all KV Custom Windows and Doors patio doors offered by C.W. 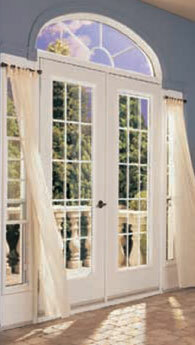 The Pavillion patio door is a high performance all-vinyl design to give you years of maintenance-free enjoyment. 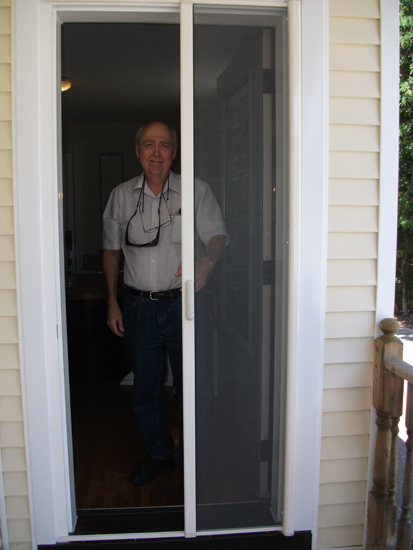 Door 'Lite' Sizes and Shapes: A door lite is simply the door glass built into a PVC vinyl frame that is inserted into your chosen door ‘panel’ or door system. 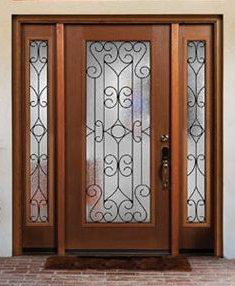 Includes half lites, 3/4 lites, full lites, small rectangles, ovals, large ovals, transom shapes and even custom size rectangles with your choice of grills! 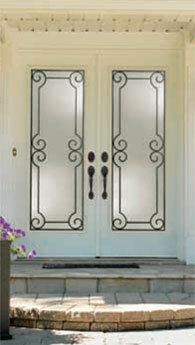 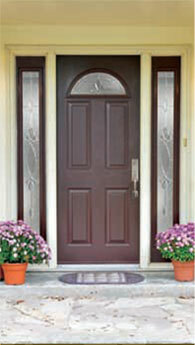 Solid Door Panels: Choose from a wide variety of solid door options from the Classic and Executive collections. 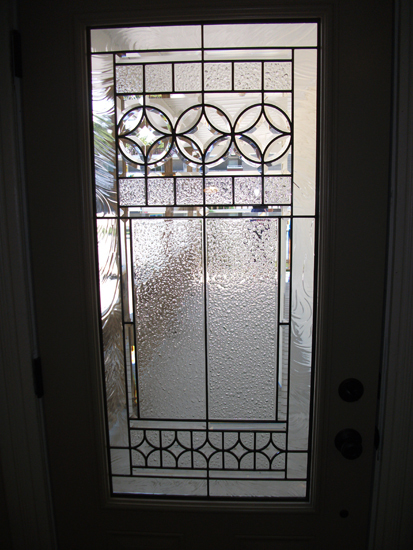 KV Custom Windows and Doors Glass Options: Choose from a beautiful variety of	decorative glass styles, as well as clear, venting and mini-blind glass options. 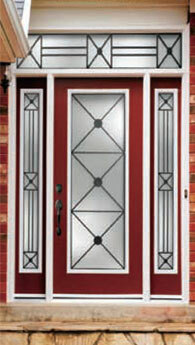 Half Lite Typically 22” x 36” in size. 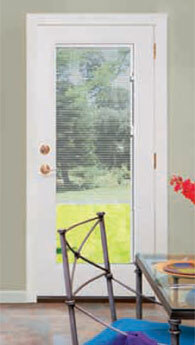 3/4 Lite Typically 22” x 48” in size. 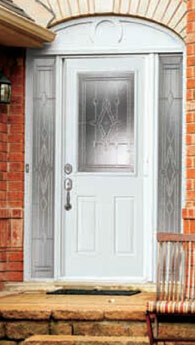 Full Lite Typically 22” x 64” in size. 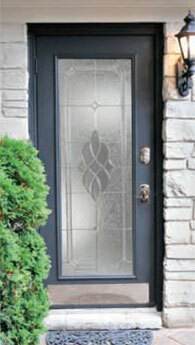 Narrow Lite Typically 8” wide 36”/48”/64”. 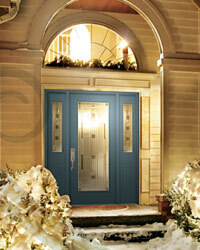 Small Oval A beautiful architectural shape adding that special aesthetic look. 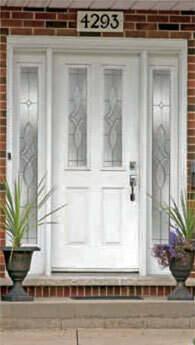 Large Oval As it suggests, a larger oval alternative providing a very special look to your door system. 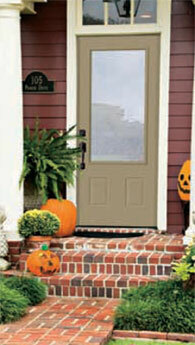 Your front door says a lot about you!